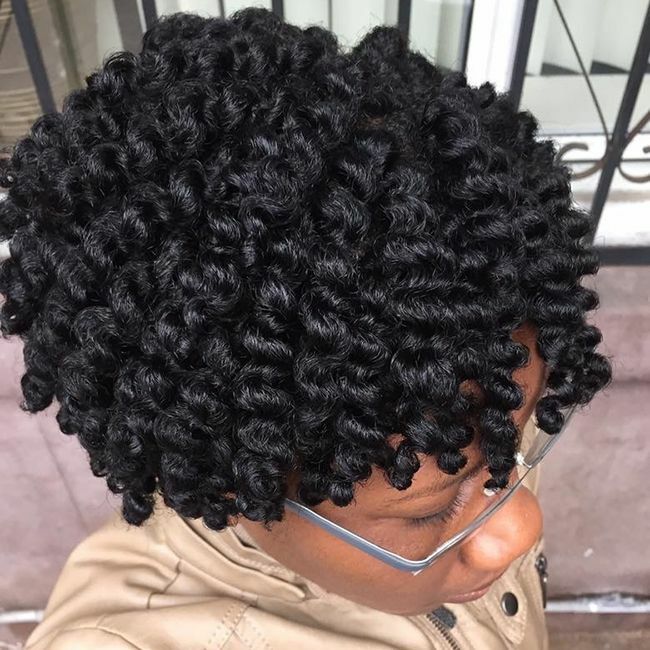 For those new to the natural scene as well as old time curlies who just haven't gotten the hang of it, there's nothing more overwhelming (and time consuming) than figuring out a healthy hair regimen! Returning or transitioning to natural hair is usually a time of education and experimentation. To avoid wasting products, money and energy, here is a starting point for creating and maintaining a healthy hair regimen. Shampoo is meant to lift the hair cuticle, break up oil and dirt, and suspend it so it can be rinsed away. The goal is to remove environmental debris, product buildup, and production of sebum — the oil our skin naturally secretes. Our straight-haired counterparts probably can't go one day without cleansing the hair because it is very easy for oil to travel down a straight strand. But in our case, oil has a harder time traveling down a loose wave, a tight curl, or a fro that sticks up & out! This is why the more textured your hair is, the dryer it feels. Our scalps are creating oil normally — it just cannot reach our hair! So when we use shampoo, the focus should be on our scalps, since that's where the dirt's at. Apply the product to your roots and scalp, scrub with the fingertips, and the lather will make its way down your hair. Don't toussle or scrunch the hair when shampooing. That could result in tangles! When you slather shampoo all over your HAIR instead of the scalp, you can expect a rough, "squeaky clean" feeling. Use shampoos that don't contain sodium laurel (or laureth) sulfate. These ingredients are much too harsh for hair that isn't that dirty, and have been known to cause irritation. Conditioning and detangling are an essential part of a healthy hair regimen since one task helps the other out. Conditioning the hair closes the cuticle, making it smooth, slippery and easier to comb through. Conditioner is supposed to coat the hair. Remember: conditioner can also be used to gently cleanse the hair! Often times, conditioners have enough cleaning agents to remove dirt, especially if there's little build up in the hair. If you exercise every day, for example, use a conditioner to wash your hair. Note that if you use conditioners containing silicones, eventually you will have to use a clarifying shampoo to remove the buildup from your hair. If you don't, the hair will be dull and lose body. As described in the first step, naturally curly hair has a tendency to be dry. Fitting a moisturizer into your healthy hair regimen is as simple as a morning spritz or mid-day pick me up! First and foremost, nothing will replace water. Not all curlies have to completely soak their hair every morning — thick curls or a 'fro will take forever to air dry! You can simply put the water in a spray bottle and dampen the hair. When searching for a moisturizing product, water must be pretty high up in the ingredients list. Many moisturizers also contain vitamins and oils that can be soaked into the hair and scalp. Sealing ensures that the moisture you put into your hair stays there. Moisture is lost when the cuticle is raised and water leaves the hair. By laying a sealant on top of the hair, moisture is locked in, keeping your hair soft and shiny all day! There are a variety of oils to choose from. Many popular ingredients in natural hair products are great for adding moisture to your hair. You can even add your favorite oil to the spray bottle of water and knock out steps 3 and 4 at the same time! Nobody's hair is perfect! We all get breakage, lack moisture, and need help! Treat your hair to something nice! Whether it's henna to strengthen, or avocado to moisturize, curly hair will benefit from extended exposure to certain ingredients. Natural hair that has not been processed (color, relaxer, etc) usually doesn't lack protein, but the curlier the hair, the more moisture it needs. So to start off, try one of these tasty deep conditioning treatments.This step of your healthy regimen should always be done to clean hair, so all the nutrients and benefits of the treatment are received. How Often Should You Do Your Hair Regimen? Only you know your hair and habits best. The weather, your exercise routine, your styling options, will all effect how frequently you do a certain step in your regimen. If you go to the gym every day, steps 2, 3, & 4 will happen daily. If you live in a cold environment, step 4 is vital to keeping moisture in your hair during the cold, dry months. What you need to achieve in your regimen will probably change depending on the season. Give yourself at least one month to test it out. Stick with the same products to see true results! Have you found a hair regimen that works for you yet? The photo above was submitted by our NaturallyCurly reader Rochelle Hyman, if you'd like to submit your own curly selfies (and the steps you used to achieve your look) post your photos here! This article was originally published August 2010 and has been updated for grammar and clarity.